A Women’s Walking Group Creates a New Way to Celebrate Birthdays…Trail-style! When Darlene Stone turned 70, she was adamant about one thing — no birthday presents, please. So, friends in Darlene’s walking group came up with an interesting solution. They made a donation to The Great Trail, in Darlene’s name. And from that moment, a tradition was born: when one of their walking mates turns 70, the group makes a gift to Trans Canada Trail. They call themselves “The Hiking Babes” — these 20 outdoorswomen in the Halifax region who’ve been walking together every Wednesday for the past 11 years. They’ve made 11 gifts to the Trail so far, with three more birthday donations on the horizon. 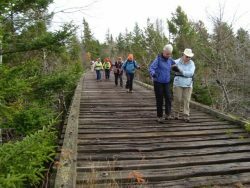 The Hiking Babes have walked almost every section of The Great Trail in Nova Scotia, from the Salt Marshes and Jitney Trail to Blueberry Run and beyond. During their rambles, they enjoy spotting blue herons, bald eagles, ducks, foxes and deer, among other wildlife. “The chickadees on the Lake Charles Trail will eat out of your hand!” says Andrée Lachance, a retired French immersion teacher and one of the 15 founders of The Babes. 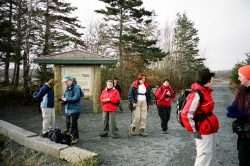 The original group members met while hiking and walking with members of the Halifax Regional Municipality (HRM). They decided to hive off and form their own group so that more people could participate in the regional outings. It made sense, since most of the soon-to-be Babes were retired and could meet during the day. The Hiking Babes love nature, particularly flowers, keeping an eye out for wild orchids, lady slippers, mayflowers and wild irises. 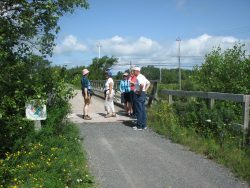 The group is especially attuned to seasonal changes along The Great Trail. Sometimes, The Babes take a 10-minute moment of silence to commune with nature. “All the tension leaves your body and you can hear the birds. There’s a peace that comes over you. We all value it,” reports Colleen. Then, it’s back to business as usual — discussing the politics of the day, Canadian heartthrobs (Ryan Reynolds vs. Ryan Gosling) Downton Abbey, wine, health tips, tennis, and books they’ve read for their various book clubs. The Hiking Babes love their “girl time”, enthusiastically chatting and laughing. Colleen and Andrée note that their ruckus probably chases away some wildlife along The Great Trail, as the Babes exchange stories and jokes. What, exactly, gets them laughing so hard each week? 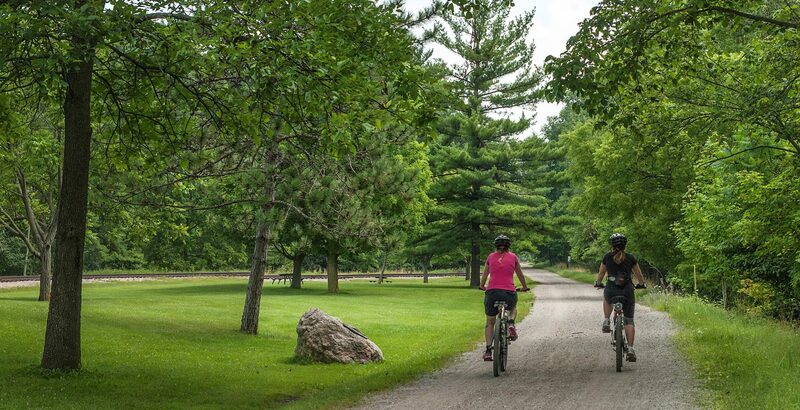 You can be like The Hiking Babes, and honour a friend or loved one by making a donation in their name to Trans Canada Trail. 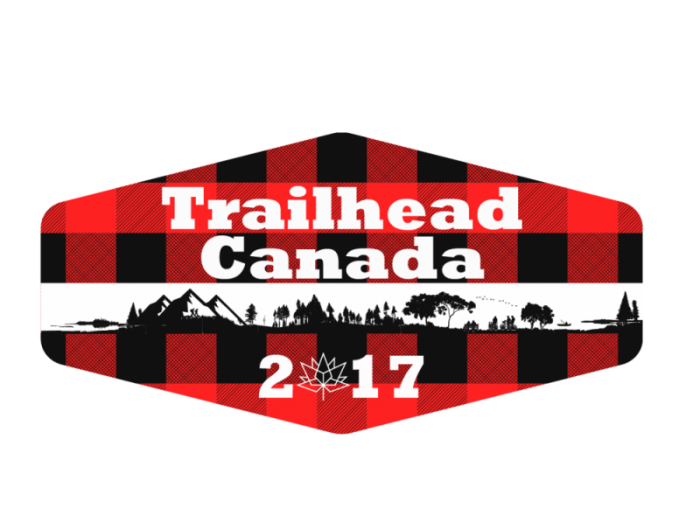 Visit thegreattrail.ca/give/ to find out about the many ways you can contribute to the development of The Great Trail, including monthly and planned giving.